During Botcon 2014′s second day, Saturday, June 21st, the Hasbro Transformers brand hosted an outstanding panel showing off new products. This year’s slideshow images are already available in a gallery, here are the details given on each release mentioned during the slideshow for Generations, Age of Extinction, and more Transformers brands. On the panel were Ben Montano, brand development; Lenny Panzica, senior product designer; Mark Maher, paint; Bill Paukert and John Warden, product design managers; and Mark Weber, global brand development manager. On Botcon 2014’s final day, Sunday, June 22nd, IDW Comics was the focus of an impressive panel. IDW publishes Transformers comics, including a pair of monthly ongoing books – Robots in Disguise (RID), and More than Meets the Eye (MTMTE) – as well as fan-choice character Windblade’s titular miniseries, and a semi-regular digital-first series which will be continuing soon with Primacy. This summer will also begin IDW’s crossover series, the wild new series Transformers vs. GI Joe. And a new limited-series online motion comic is starting up right now called Transformers: Punishment. 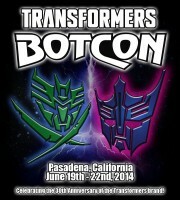 This year’s Botcon, the annual official Transformers collectors convention, takes place once again in Pasadena, California, in order to be close to Hollywood to celebrate the upcoming release of the newest Transformers film, Age of Extinction, as well as celebrate the Transformers brand’s 30th anniversary. UPDATE: Remember, voting ends tomorrow, 6/18, so make sure you get your final vote in. 4 out of 5 of these made our round 1 results! Vote for your favorite every day from now until Wednesday, June 18th at the Hasbro Transformers Facebook poll. 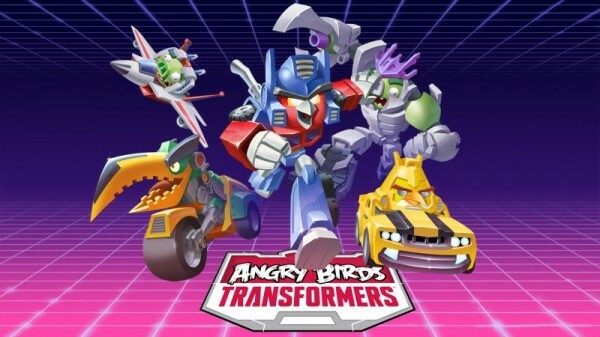 Hasbro will announce the winners at the Transformers Fan Experience at Universal Studios Hollywood on Friday, June 20th. Now, Hasbro will take our site’s results, combine them with the other fan sites’ results, from that create a master top 5 and let us fans vote on it on the official Transformers Facebook page some time later this month. We’ll keep you up to date on when that happens. Discuss the results in their forums thread!